There is no such place like Milan: sparkling, twisting, chic and the ultimate destination in Italy. 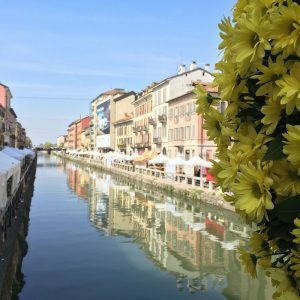 We wrote an entire, trendy guide to this beautiful town and a whole lot of tips to discover Milan in 24 hours. Where to eat, where to shop, where to make out. Ain’t it cool? Hunting for events? What if this summer you’d experience the city the Italian way, marrying the night and just letting go in the Italian city that never sleeps? a Sunday devoted to local shopping, far away from shopping malls and outlets at WunderMrkt or at the East Market. Better than Camden Town! There are so many more events to discover! Though we think there are other sites that can help you better than we do. Like Zero, a tiny little magazine full of ideas – you find it in almost every bar in Milan. To have a sneak peek of our tips, why don’t you download our free guide to Milan? When you travel like an Italian, you know this is the best part: enjoying your time on vacation and making the most out of your trip. We love to discover new places for a snack, a nice breakfast or a hot caffè that can become memorable. 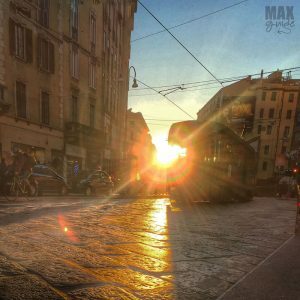 MaxGuide Milan contains 10 places for snacks you don’t want to miss when you visit Italy and Milano! There is no city in Italy as gay-friendly as Milan. Don’t hesitate to walk hands in hands, even between girls and boys. Locals won’t even notice. go for a walk in Porta Venezia’s area. And have a drink at Lelephant or Mono. If you want some tips according to your travel plans, don’t hesitate to contact us through our Facebook Page. We will be very happy to assist. For free.